Luxor 2 still offers the addictive and easy-to-learn, yet difficult to master game play which made the award-winning Luxor franchise such a smash hit, while taking the game to a completely new level. 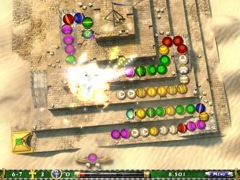 Luxor 2 takes you on a beautiful voyage through the land of ancient Egypt. 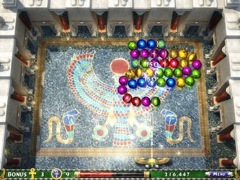 Play 88 all-new, gorgeously rendered levels of brilliantly displayed crisp and stunning graphics set amongst the pyramids and temples of ancient Egypt. 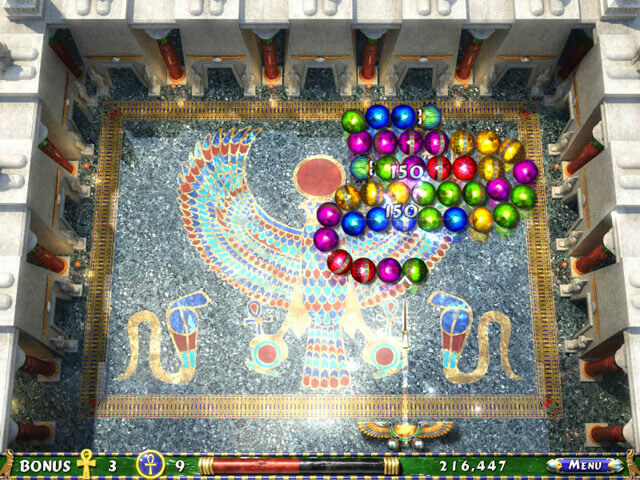 Use your mystical winged scarab to shoot and destroy the approaching magical spheres before they reach the pyramids at the end of their path. 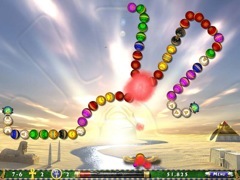 And to help you shoot down those enemy spheres, Luxor 2 features more explosive power-ups than ever before!